Rahul is currently responsible for collaborating with C-level executives at AHIP’s Health Plan/IDN Membership and across Multi-Institutional stakeholders to develop and implement innovative frameworks and unique approaches that lead to accelerated adoption of mission critical initiatives that ensure the delivery of high quality care and improve consumers ability to receive needed care all while driving down the cost of care received. Rahul has extensive practical knowledge in creating new, multi-stakeholder, collaborative business models as well as integrating proven next gen digital health solutions that create a more simple and positive consumer care experience. His role expands to include the creation of innovative care pathways, normalizing and sharing of data assets for proper segmentation, developing actionable and personalized programs and tools that ensure measurable behavior change imperative for desired health outcomes. He continues to help develop, test, measure and iterate innovative initiatives that increase efficiencies for all key Healthcare stakeholders as they collectively focus on outcomes-centric care. Rahul’s most recent brainchild is the 26,000 sq ft AHIP Innovation Lab in Chicago’s West Loop. He is responsible for creating the Lab’s one of a kind concept, continues to fulfill its mission of delivering an invaluable resource for AHIP Membership ecosystem stakeholders and solution providers and leads all of the Lab’s collaborative and confidential Solution Working Groups that involve individual payers, providers, employers, consumers, manufacturers, MedTech, innovative solution providers and the AHIP Innovation Lab’s trusted and crucial Inaugural Partners. 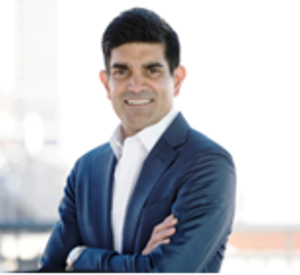 Prior to joining AHIP, Rahul held a leadership role as a founding employee of a successful digital Healthcare start-up based in Washington DC. Along with the company’s co-founders, Rahul was instrumental in developing a multifaceted consumer tool as well as leading the company’s “go to market” strategy resulting in successful market penetration and revenue growth for the industry’s first consumer-led shared decision making and treatment selection platform. Rahul was recently named one of the American Journal of Health Promotion’s 2017 Innovators and Game Changers and Accenture Perspectives: Minds Driving the Future of Business. In 2016, Frost & Sullivan presented Rahul and the AHIP Innovation Lab with one of their highest honors, their 2016 Global Visionary Innovation Leadership Award.